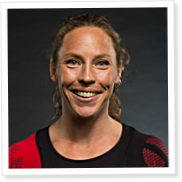 On Episode 287 of CrossFit Radio, host Justin Judkins interviewed two podium finishers at the CrossFit Games. Both Valerie Voboril and Ben Smith finished third in the competition that ended July 28. This episode was webcast July 31, 2013. At 35, Chan was the oldest individual male competitor at this year’s Games. Accordingly, he said his plan during the multi-day competition was to focus on recovery. Exactly what did that involve?